This past week I was at Tim Horton’s. Sitting across from me was a man that I did not know. The reason he and I were sitting at the same table is such a coincidence if you believe in such a thing. I was soon to find out that the reason for me meeting this man at a random table at Tim Horton’s would change my perspective on some of the things I considered important. Jack would tell me about his situation. He would tell me of the diagnosis. How they found cancer. He would give me details of his surgeries and of the treatments. 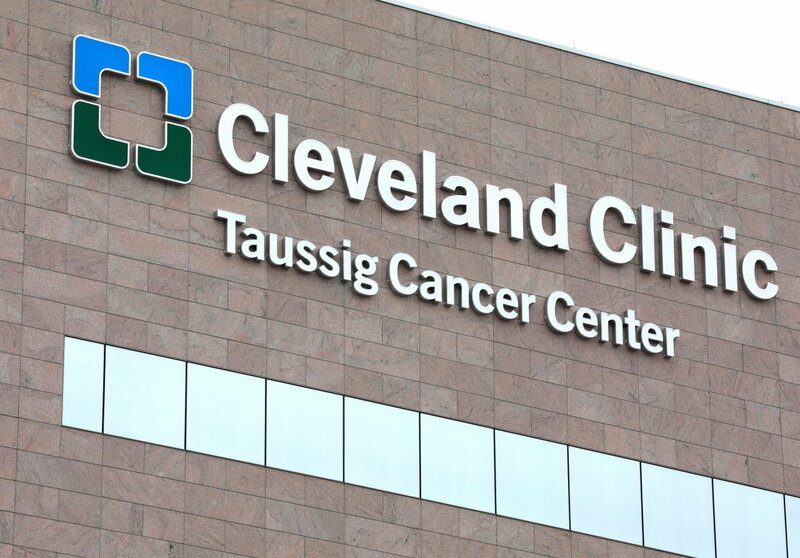 The doctors removed one of the largest tumors recorded at the Cleveland Clinic from his colon. He would tell me he has been dealing with this for almost 5 years now. He has been told by the doctors that there was nothing more they could do. He has been told on at least 2 times that he only had a few months to live. He recently had more tests run and again, the prognosis is not good. They will do another round of chemo and they will attack it as best as they can. He has survived. He has overcome. He has lived. But that isn’t Jack’s story, at least not all of it. Jack’s story begins with a desire to write a book about his situation. He has wanted to write a book called “Blessed With Cancer”. It is as important as life to him. Sure, he wants to write this book for his wife and for his children to read in the future, but more importantly, he wants it for those that are walking the same path in life. He wants to share his story of how he has survived. How he has overcome and more importantly how he has lived to those that are battling cancer. He has tried to get his book published. Some publishers would tell him that the costs of putting this into a book form would be thousands of dollars. Others would tell him that it will be over a year away for it to be published in book form. Jack doesn’t know if he has a year to give. This is where I come into Jack’s story. I am not sharing this to get any credit, to be recognized or to be seen in a better light. I just know what Jack feels like when it comes to wanting to write a book and the process it takes to get it into book form. It’s brutal. I have developed a publishing process to where I can get Jack’s book into book form at almost no cost to Jack or his family. I can help him achieve his desire while he can enjoy the fulfillment of reaching a lifelong dream. This is what I am going to do for Jack. As Jack and I finished up our discussion and details that need to be completed to publish his book, I see that this book is something that he is living for. The compassion to tell his story and a desire to leave something that gives evidence that he was here. A way to thank his doctors… his friends and most of all his family. Here is the front cover of the book I am publishing for him. I just submitted the book and it will be on Amazon in the next week or so. I am proud to have been part of his dream to publish a book. The lessons to be learned in his story are evident long before a book gets published. For me, I realize that in light of his story, many of the things I consider important… simply are not. Whether or not the Browns win another game or the Indians win a World Series is not important. It simply doesn’t matter. I am reminded of a movie I watched many years ago. It wasn’t a great movie by any standard, most of the movie I forgot about soon after it was over. However, there is one scene that I have never forgotten. In that movie, called “Meatballs”, Bill Murray is coaching a summer camp softball team. Just prior to the final game between his team of nerds and the super-jocks, Bill gives his team a pep talk, reminding them that whether they win or lose, it just doesn’t matter. Most of the things we face in life really do not matter. Not in the big picture of life. Our perspective will change when we face our mortality. When we face an uncertain future. I am aware that we all have to face these things in life. We have to play the cards we are dealt. 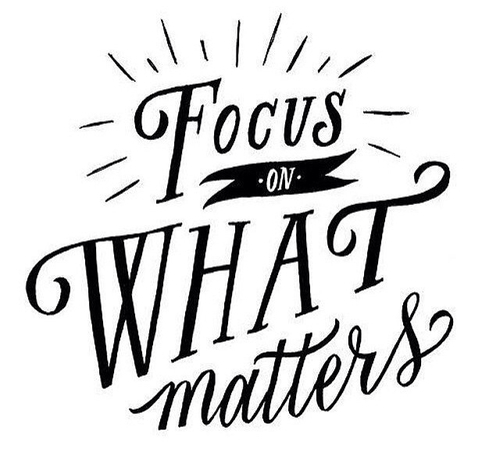 We need to focus on what matters. What matters is having a personal relationship with Jesus Christ. What matters is showing up and doing the best you can. What matters is your family. What matters is stepping up to the plate and taking your best shot. What matters is not letting your fear or your cancer define you. What matters is living life until God calls you home. It’s trying to squeeze out every last drop of life knowing that it is so precious. So… when I see a man who has endured the last five years dealing with cancer and then he writes a book called “Blessed With Cancer”… the game that the Browns won last week… just doesn’t matter. I have had the privilege of knowing Jack for many years and can honestly say he is the finest man I have ever met! This is evident in the fact that he has the most upstanding children you could ever meet. With that said I can honestly say his wife Patti is truly a rock! I feel I am a better person for knowing both of them! I’ve only known Jack and his wife for 5 years and I can tell you that I admire him and his passion for life. I’ve never heard him complain and he’s always been very upbeat. If I ever am diagnosed with cancer, I want to be just like him! It’s been a pleasure to know him. I will definitely be looking for this book when it is released. Thank you, Jack and Patty, for teaching us all how to survive adversity graciously! Congratulations Jack nobody deserves to have their life story written any more than you do! I know that God has been especially kind to you. A lot of people would ask how can that be when he allowed me to get the cancer but that allows these things for a purpose and now you’re getting a chance to tell that. I no doubt believe that he has walked with you and Daily thru these last few years through your surgeries, through so many chemo sessions, how many times do days where you wondered whether you would survive another day or not and he continued to allow you to have life and you lived it so abundantly and with such a beautiful attitude! Sometimes we never know the reason why these things happened to us and it might be only for the purpose of being an example to others which you definitely have done. She has allowed you to be an inspiration to so many others and now you are able to share your story! Sometimes are stumbling blocks actually turn into Stepping Stones and our problems turn into Blessings. Sometimes it brings weakness to really find out how much strength we actually have. I’m so happy that this has occurred for you and we will continue to keep you in our prayers! Jack, since we first learned of your diagnosis, through several surgeries, victories and setbacks, you and Patti have met each with grace, dignity, and never a “why me” attitude. You two face each challenge as a team, with your unbelievably loving and supportive family with you each step of the way. I am blown away with your book title “Blessed With Cancer” and look forward to its release. Thank you for making sure this beautiful message is shared, all of us appreciate knowing Jack and Patti and watching the great love and strenght they share with each other. How many of us could ever have fought this battle with Jack’s dignity? God bless Jack and his family. Jack is the nicest guy one could know. He has the best outlook about everything. I have never heard a negative word from him. I look forward to reading his whole journey. We should all learn from his positively. Michael, God Bless you for what you are doing for Tim!! This will mean so much for him!!! Will the book be available in Arizona??? I lived in the Oak Harbor area for 19 years & went to Carroll Township Elementary School & Oak Harbor High School!!! Thank You again for what you are doing!!! Even though I have not had the pleasure of being around as much as I would have liked, your courage and attitude have left a permanent place in my heart. I know that God has a special place and job for you and that your love of life and family will be rewarded. Patti has been your rock and we all wish we had someone like her in our lives. Your book will be a success and you will live in people’s heart forever . Love you Jack.